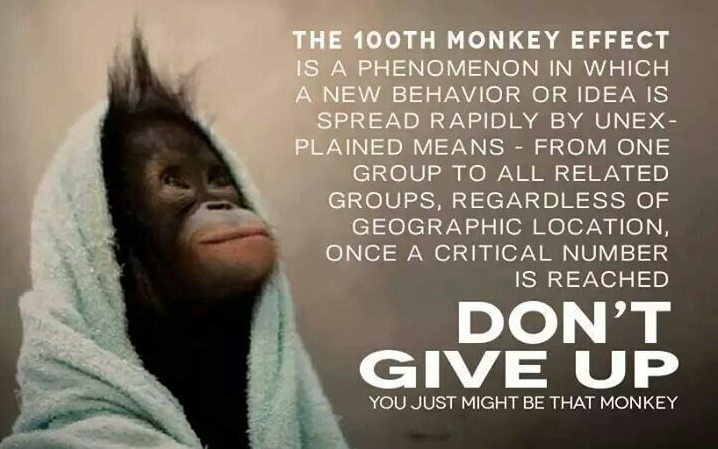 The hundredth monkey effect is a phenomenon in which a new behavior or idea is spread rapidly by unexplained means from one group to all related groups once a critical number of members of one group exhibit the new behavior or acknowledge the new idea. 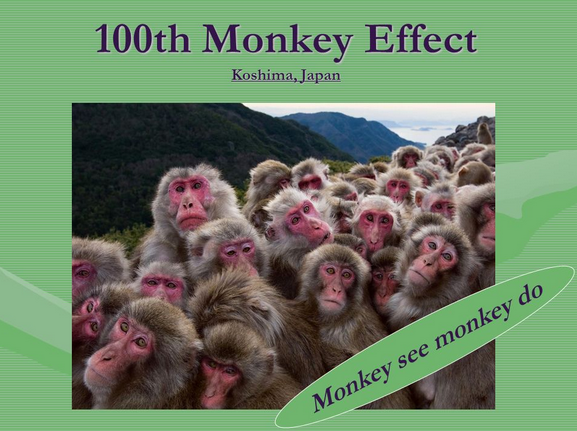 The story goes that scientists were conducting a study of macaque monkeys on the Japanese island of Koshima in 1952. These scientists observed that some of these monkeys learned to wash sweet potatoes, and gradually this new behavior spread through the younger generation of monkeys—in the usual fashion, through observation and repetition. 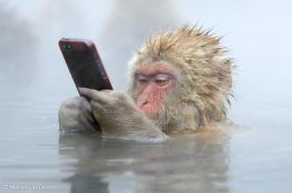 The researchers observed that once a critical number of monkeys was reached, i.e., the hundredth monkey, this previously learned behavior instantly spread across the water to monkeys on nearby islands. The concept of Carl Jung’s collective unconscious, and the biologist – Rupert Sheldrakes, morphogenetic fields, offer parallel stories that help strengthen this strand of our imaginations. Archetypes, patterns, or fields that are themselves without mass or energy, could shape the individual manifestations of mass and energy. The more widespread these fields are, the greater their influence on the physical level of reality. 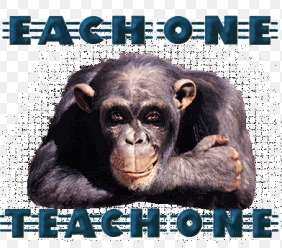 We sometimes mention the Hundredth Monkey Effect when we need supporting evidence of the possibility of an optimistic scenario for the future, especially a future based on peace instead of war. 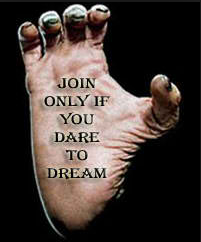 If enough of us will just think the same thoughts, then suddenly, almost magically, such ideas will become reality. Nicola Tesla said if we want to understand the Universe we need to understand Energy, Frequency and Vibration. Energy sets the frequency patterns in play this intern creates the vibration fields which are then interpreted by the DNA keyboard that then sends the information via scalar waves throughout the body and beyond. There are many types of energy from THOUGHTS, photons, neutrinos, colour, sound, cosmic waves etc. All of these create frequencies. These frequencies create Vibrations that can be interpreted, especially once these vibrations create a field – Rupert Sheldrakes Morphogenic Field. Sheldrake suggests that Morphogenetic fields are not fixed forever, but evolve and that our THOUGHTS can create a fields which can be picked up by others. 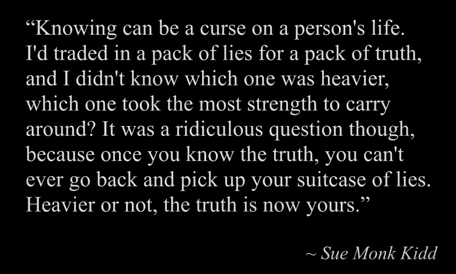 This is often referred to as ESP or mental telepathy. How are these fields inherited? Sheldrake proposes that they are transmitted through a kind of non-local resonance, called morphic resonance. The fields organizing the activity of the nervous system are likewise inherited through morphic resonance, conveying a collective, instinctive memory. This means that new patterns of behaviour can spread more rapidly than would otherwise be possible. Social groups are likewise organized by fields, as in schools of fish and flocks of birds. Human societies have memories that are transmitted through the culture of the group, and are most explicitly communicated through the ritual re-enactment of a founding story or myth, through which the past become present through a kind of resonance. The morphic fields of social groups connect together members of the group even when they are many miles apart, and provide channels of communication through which organisms can stay in touch at a distance. They help provide an explanation for telepathy. There is now good evidence that many species of animals are telepathic, and telepathy seems to be a normal means of animal communication, as discussed in Sheldrakes book: Dogs That Know When Their Owners are Coming Home. Telepathy is normal not paranormal, natural not supernatural, and is also common between people, especially people who know each other well.